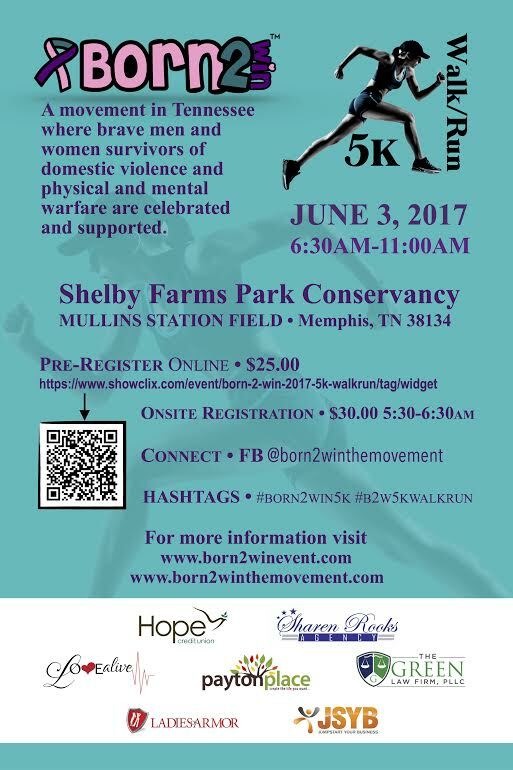 Join us for our Born 2 Win ™ 5K Walk/Run held at Shelby Farms Conservatory, (Mullins Station Field) to help raise funds and awareness for DV, Breast Cancer and other forms of cancer. 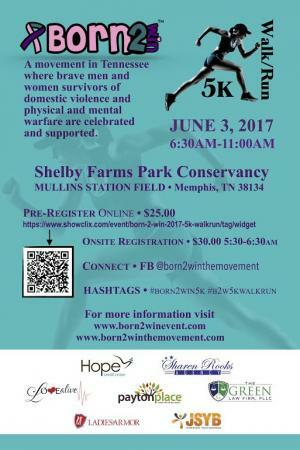 Born 2 Win is a movement to bring people out of despair, while providing resources to various non profits who are in the field doing the work. We have been working this goal since 2013 and the successes are increasing through your continued support! Love Alive ™ has so graciously agreed to support this effort, through their solid foundation building, educating, creating awareness of family relationships. Conducting workshops and retreats about restoring, reconciliation, conflict resolution and relationship dynamics. This walk is just another component of the work, The Sharen Rooks Agency believes in, serving the community, empowering others and developing joint ventures to enhance the community! DJ 1Luv will be working us out just before the walk/run! We will have light refreshments for all to enjoy!!!!! COMPLETE REGISTRATION ONLINE RIGHT HERE! THANK YOU FOR YOUR SUPPORT!!!!!!!! !